Asus boosted the battery life and performance of their Eee PC Seashell netbook when they launched the latest version of it at CES yesterday. 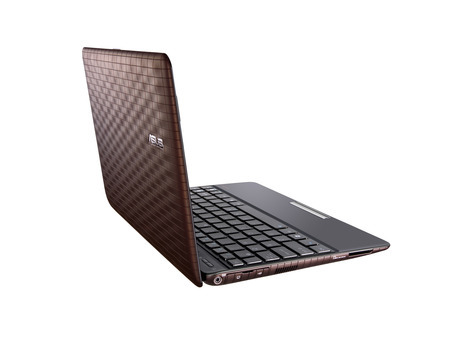 They also gave the casing a retouching with techno-chic chocolate brown check from industrial designer Karim Rashid. The new Seashell 1005PE is still running on a single core Atom processor but it’s an updated version, the Intel Atom N450 and now supports Windows 7. It’s the resulting 14 hour battery life that impresses me most. At over a day’s worth of use, that’s as good as a mobile phone. Karim Rashid’s design is available in either glossy Hot Pink or matte Coffee Brown. World of warcraft appreciate your sharing an extremely wonderful piece of writing in this article. I have to admit that we appeared to be attempting to find something of that nature designed for a very long time and finally I have discovered the application at this point. Cheers for this particular!